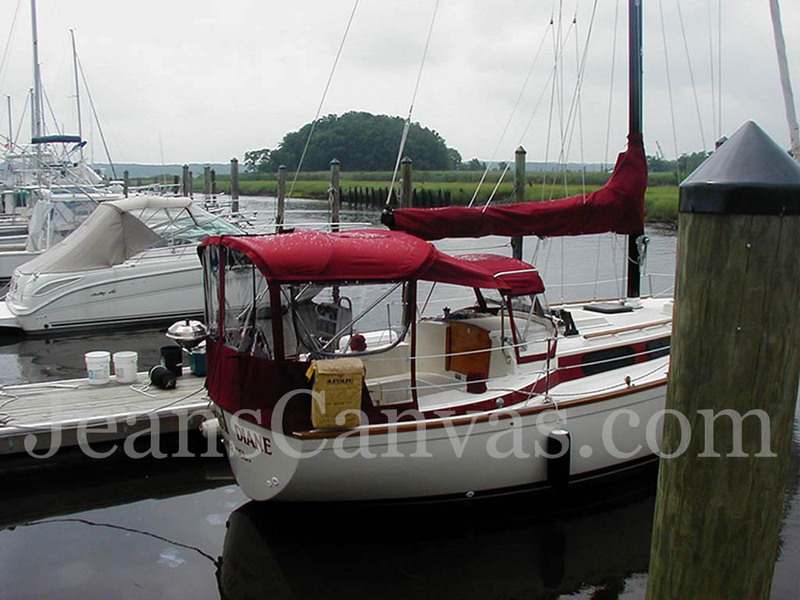 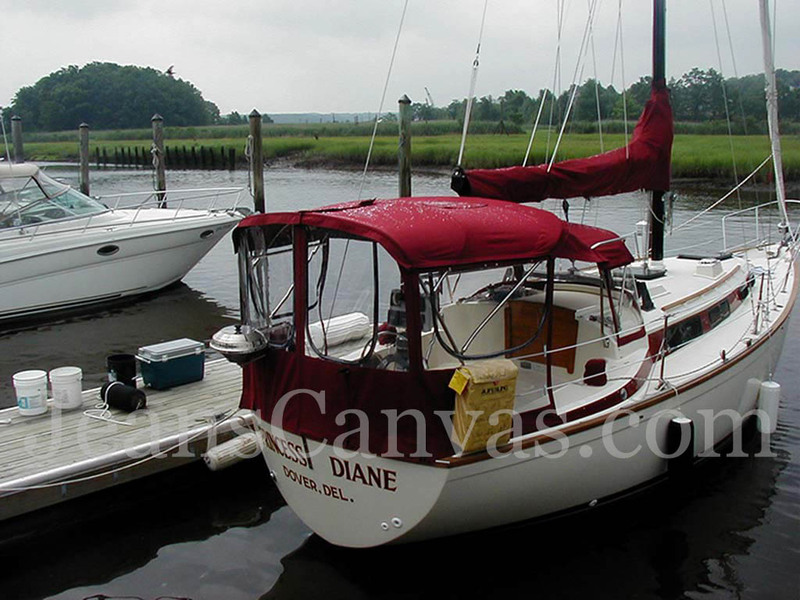 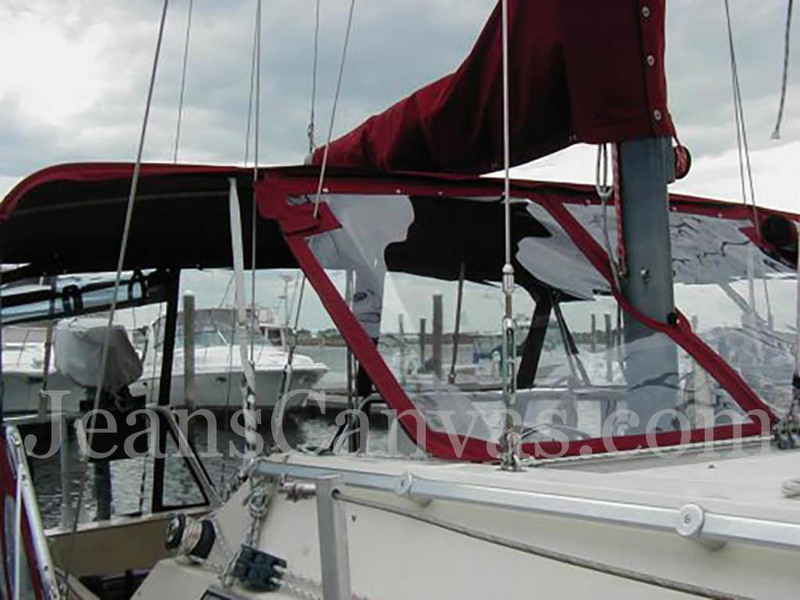 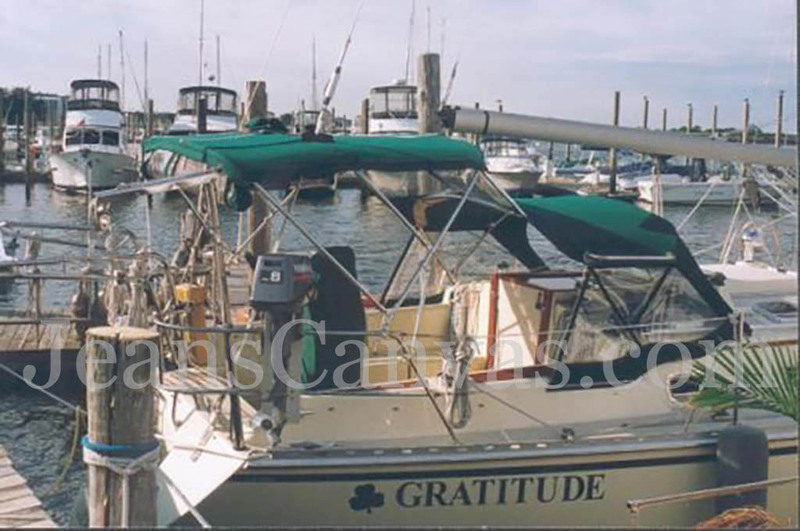 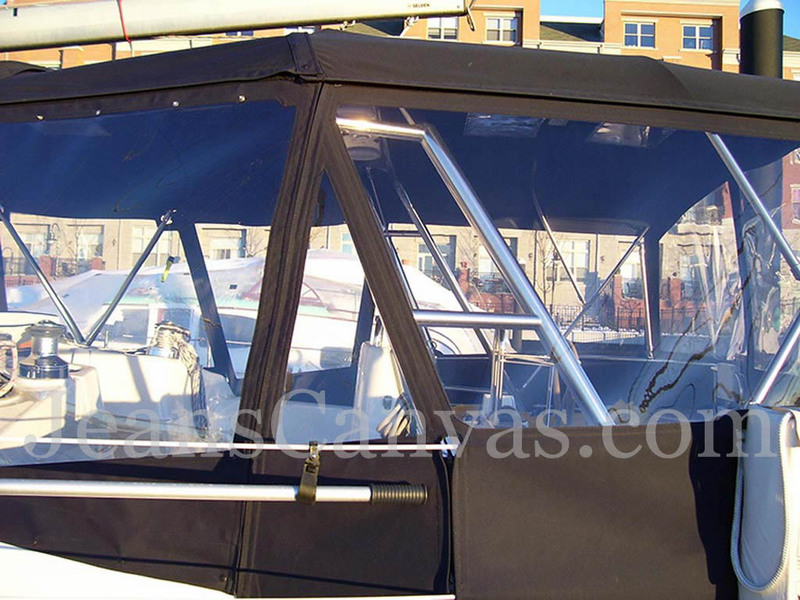 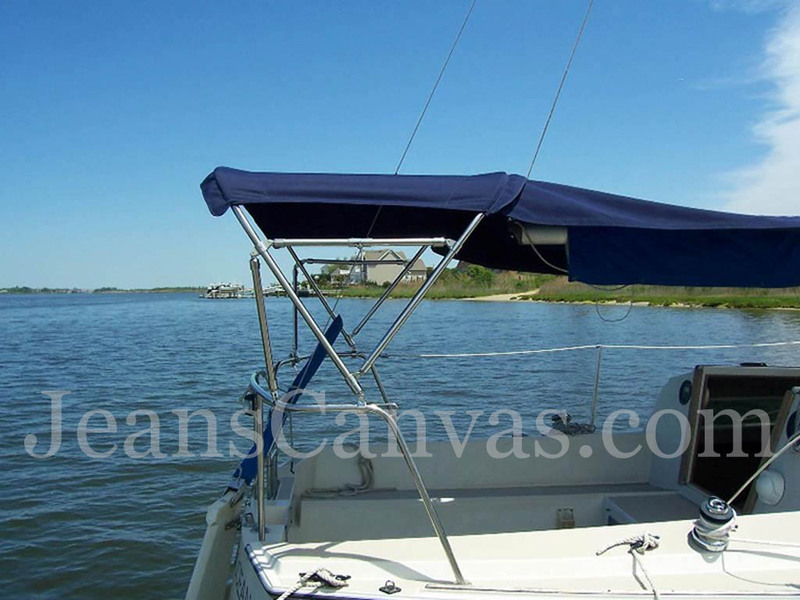 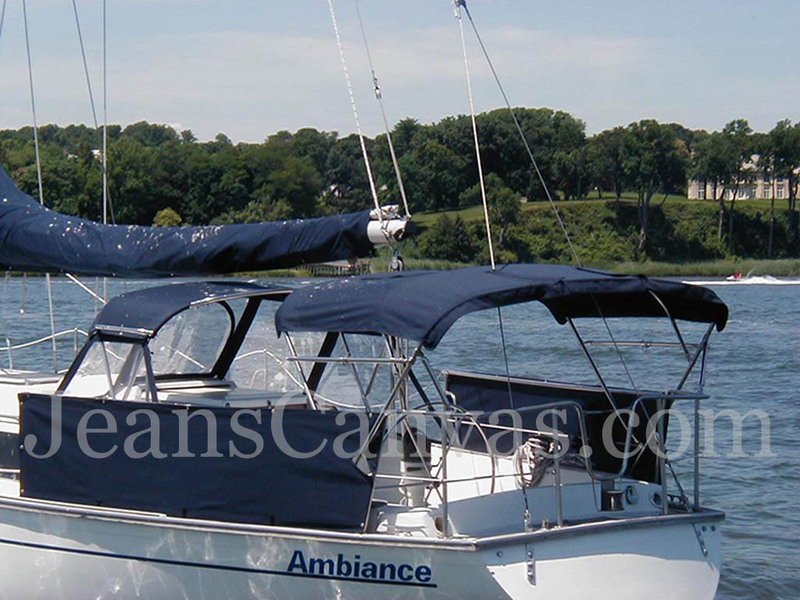 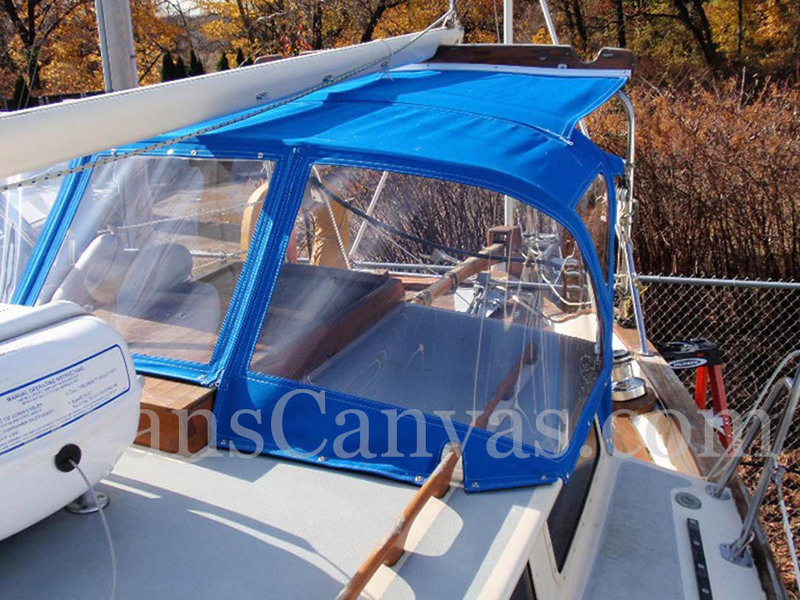 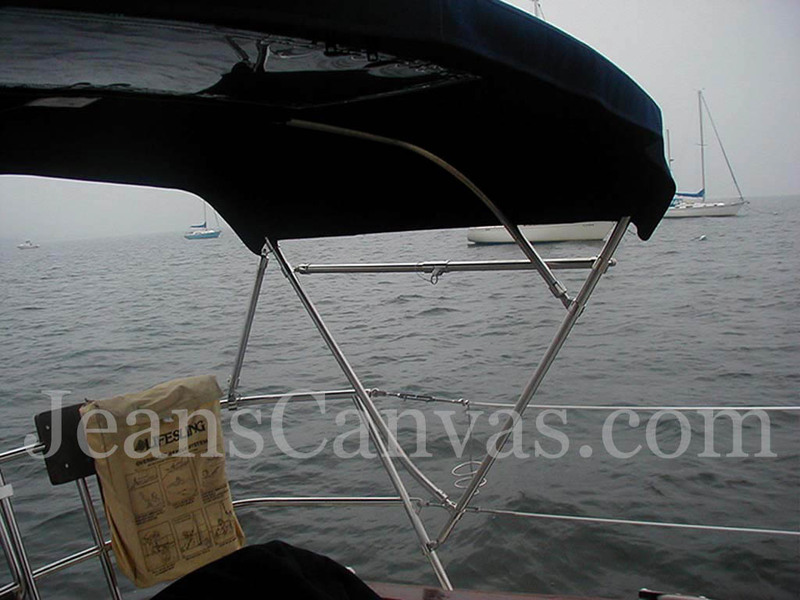 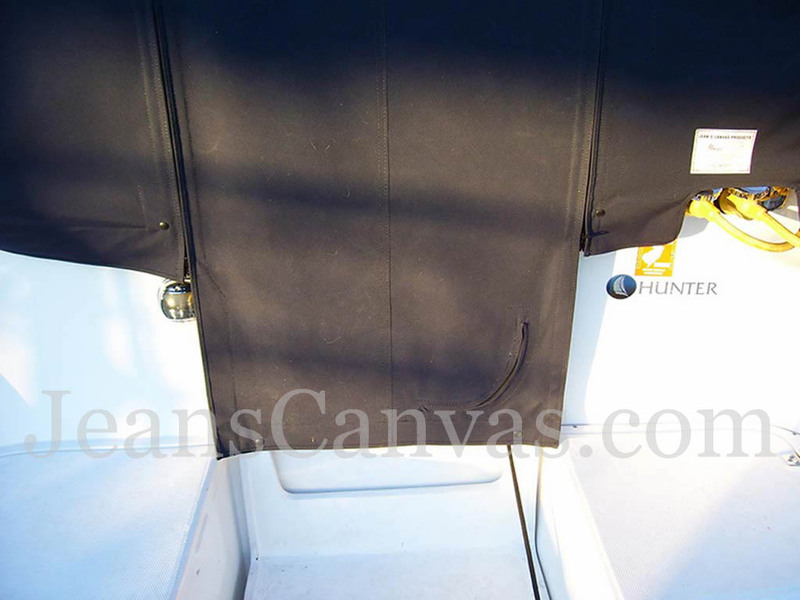 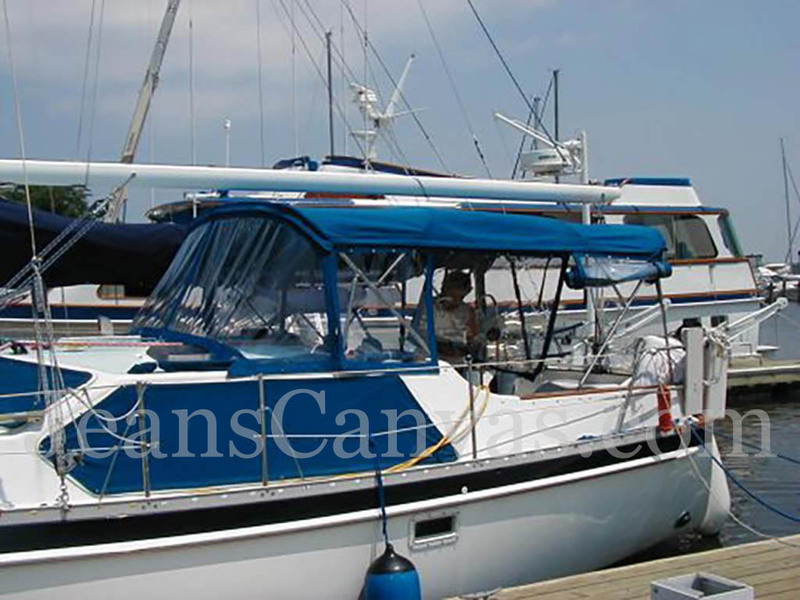 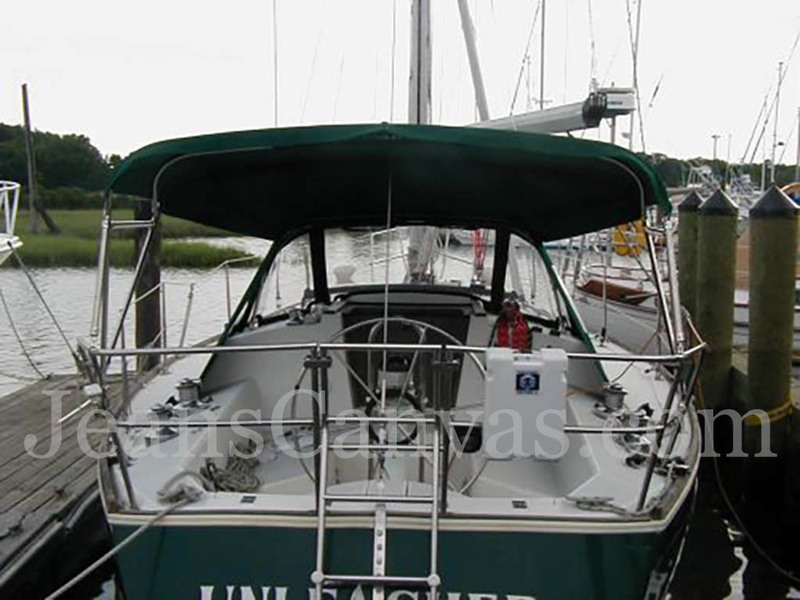 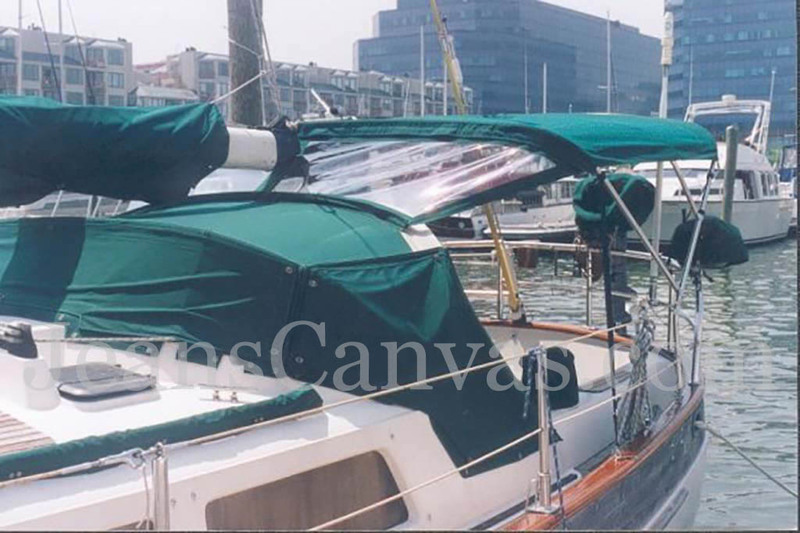 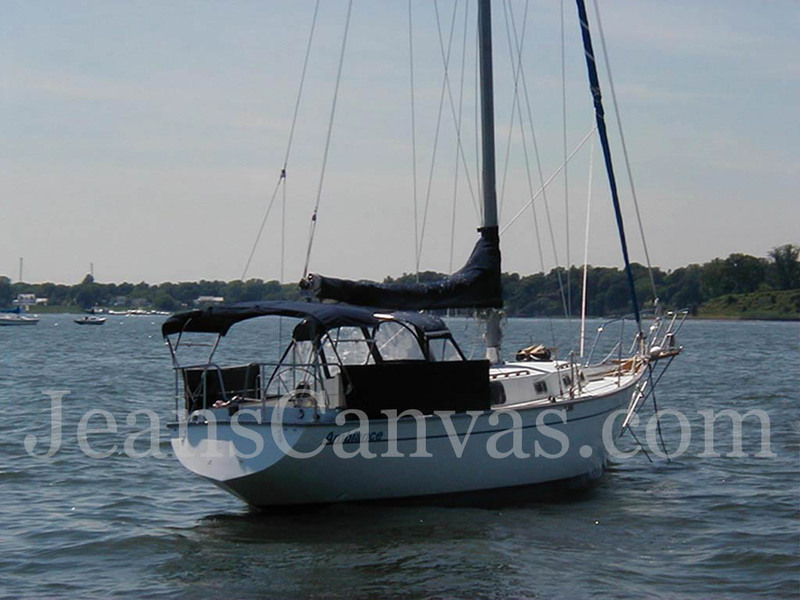 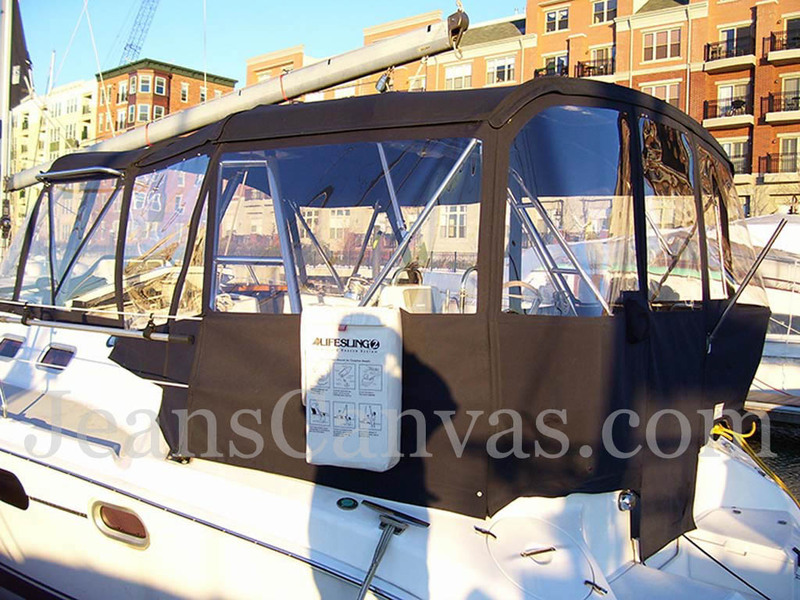 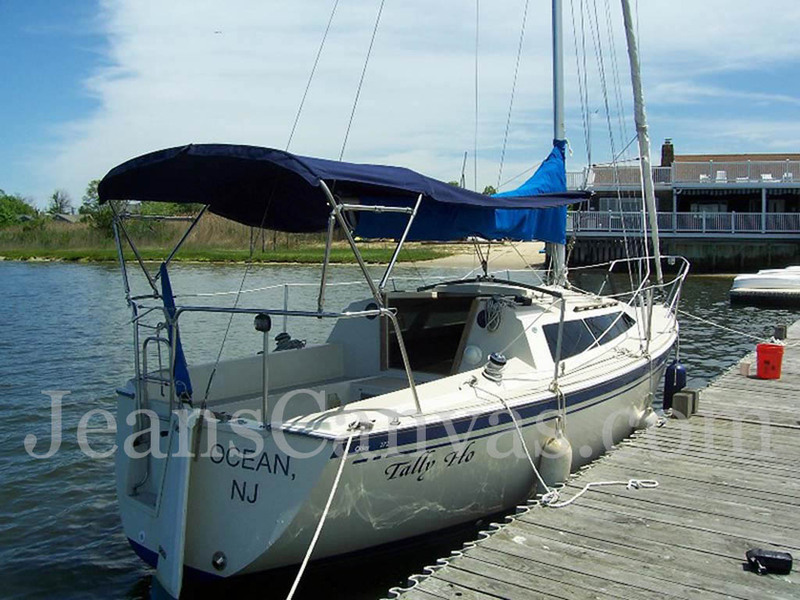 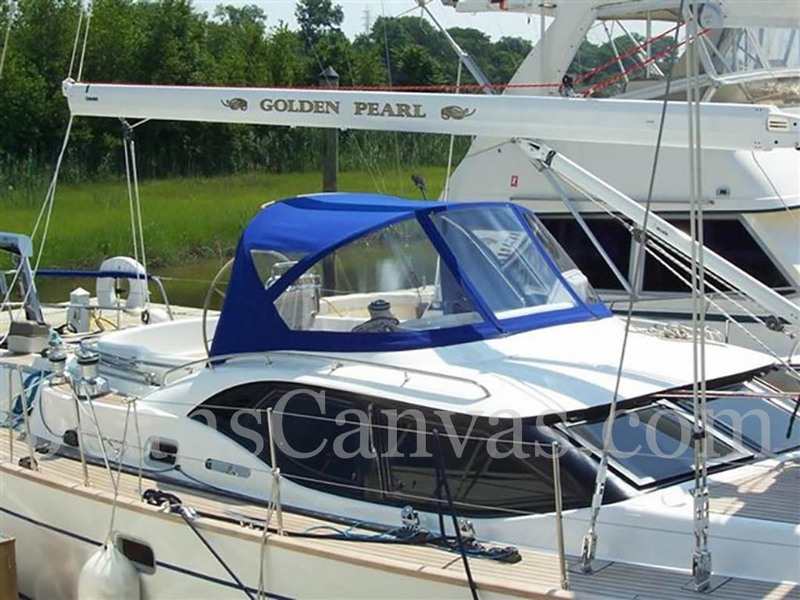 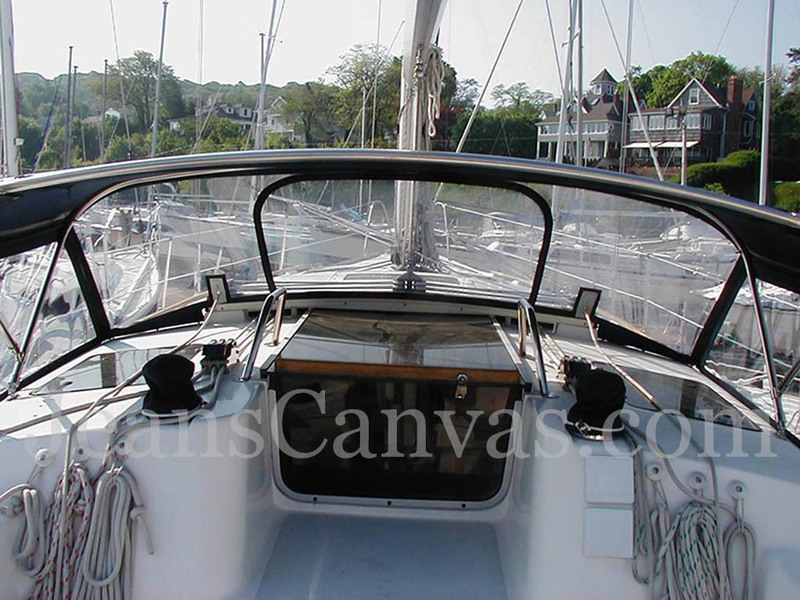 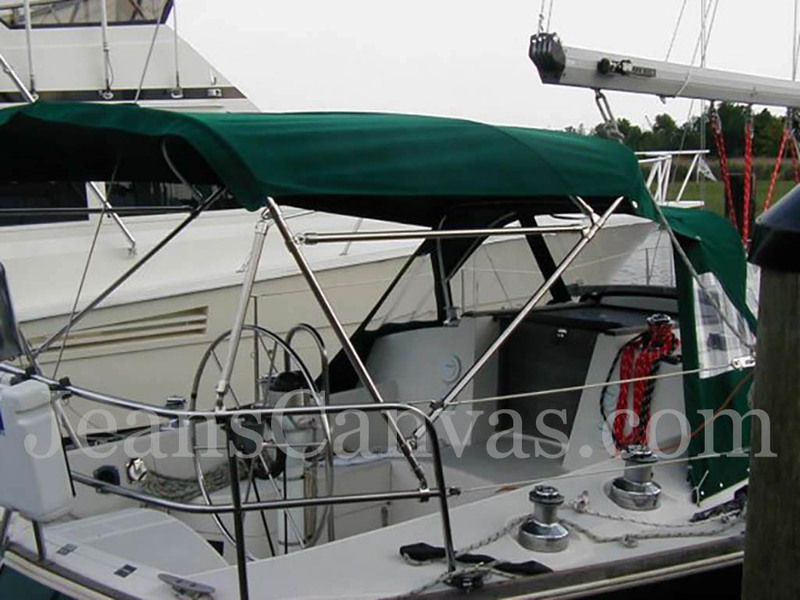 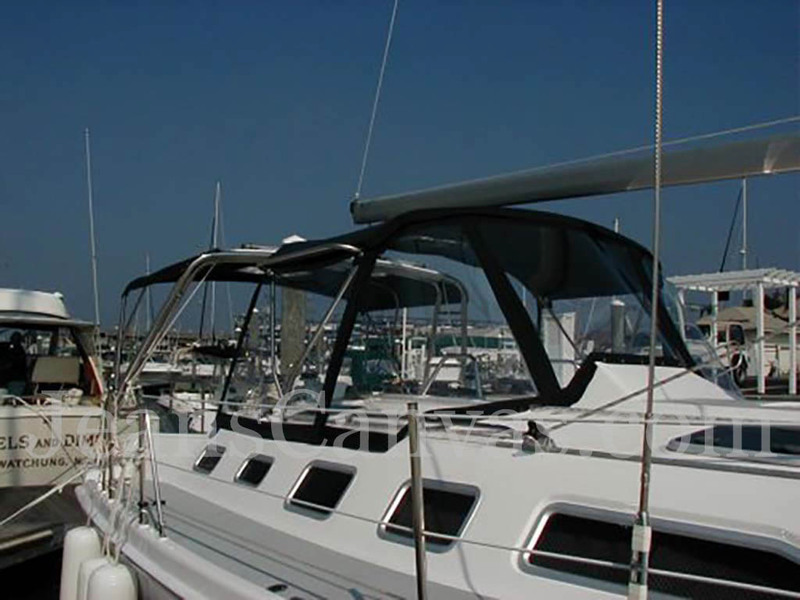 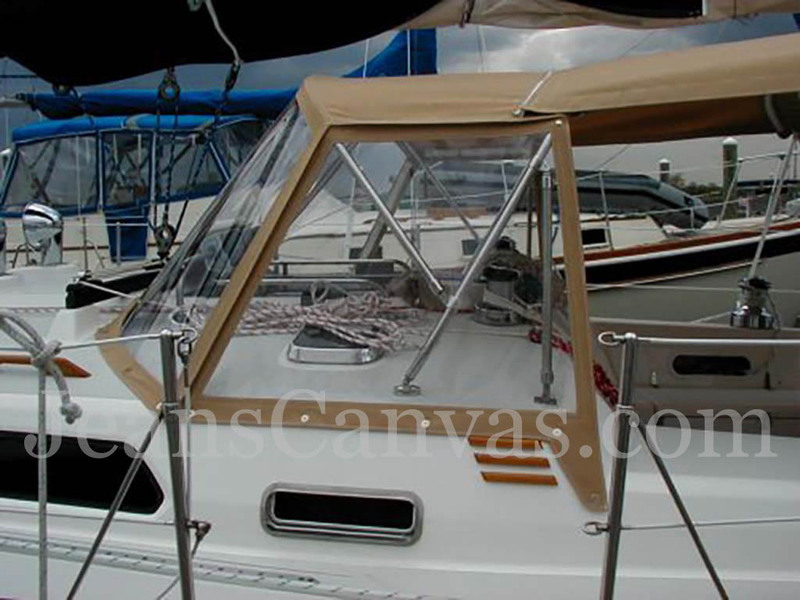 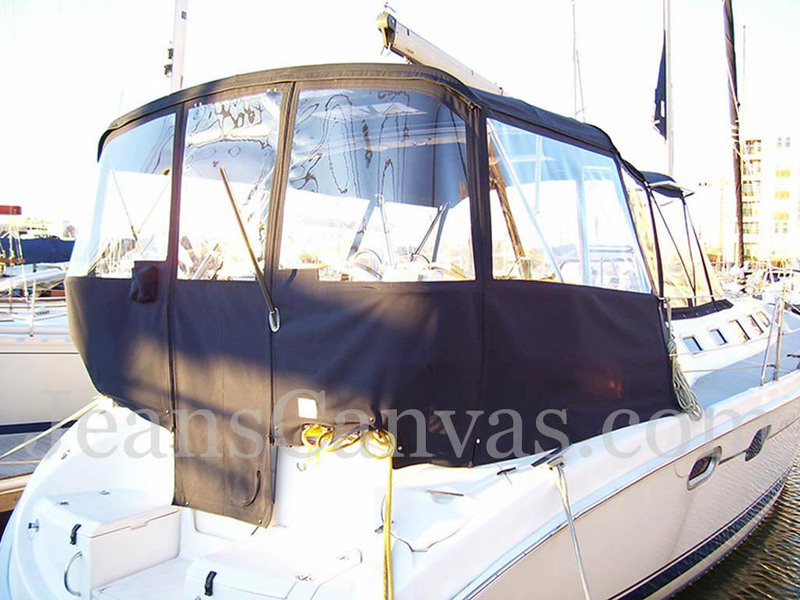 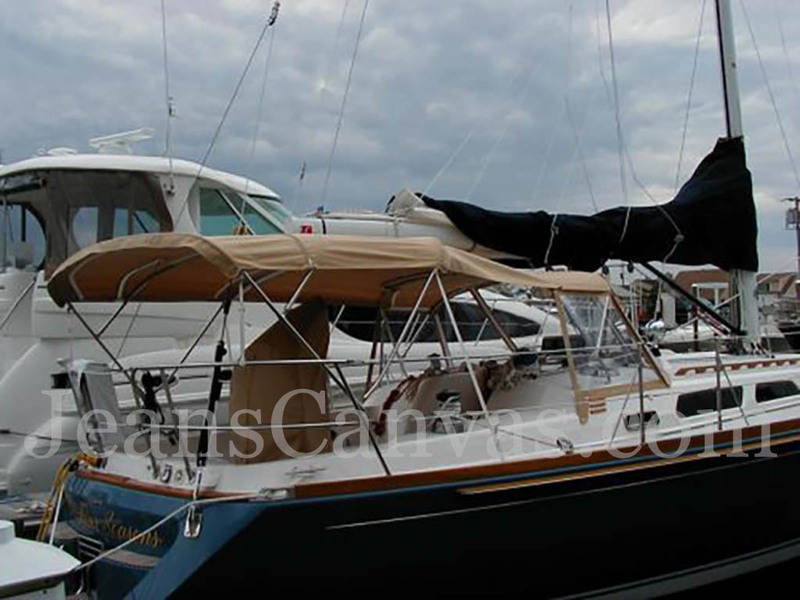 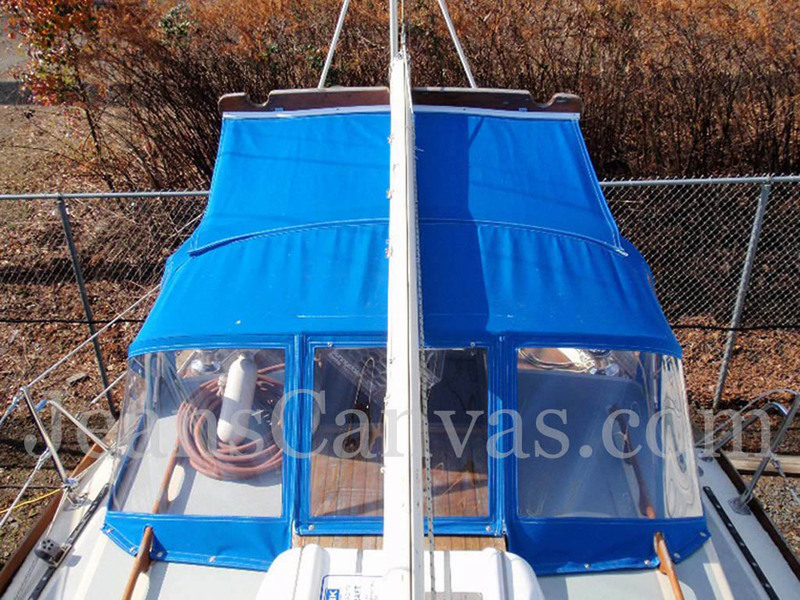 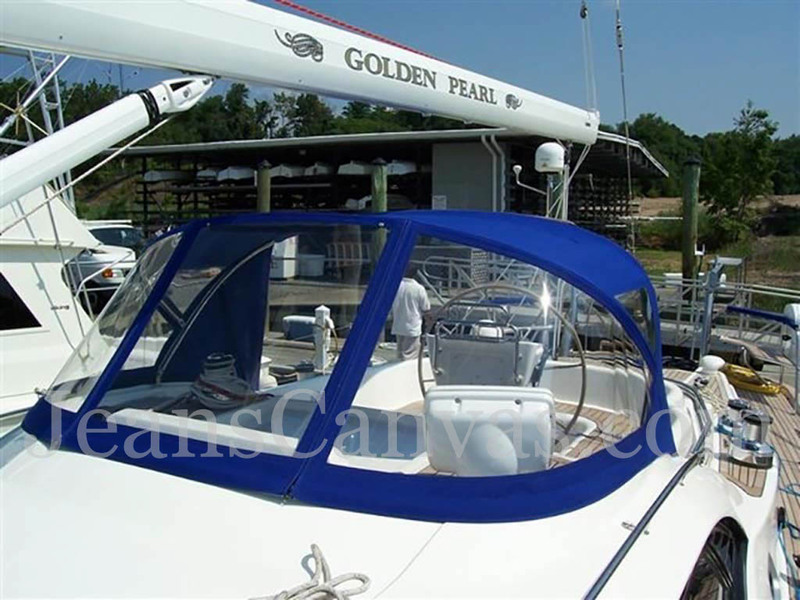 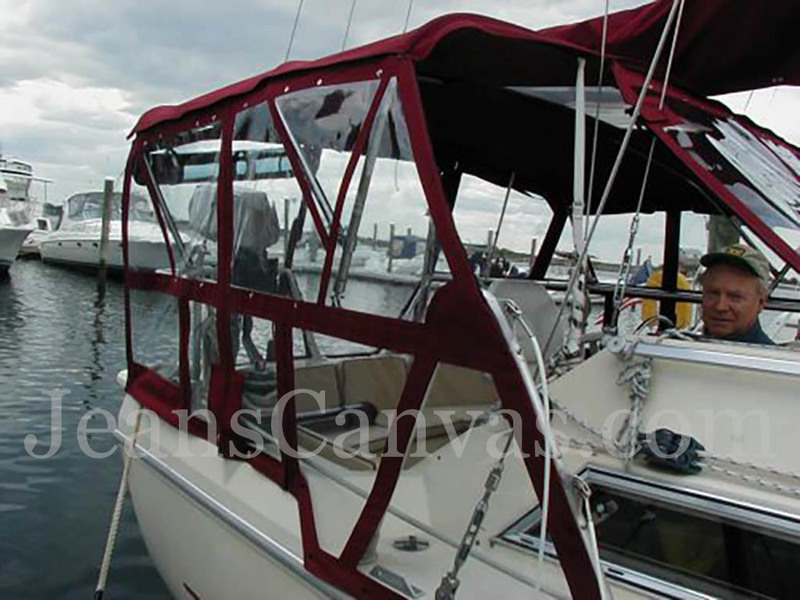 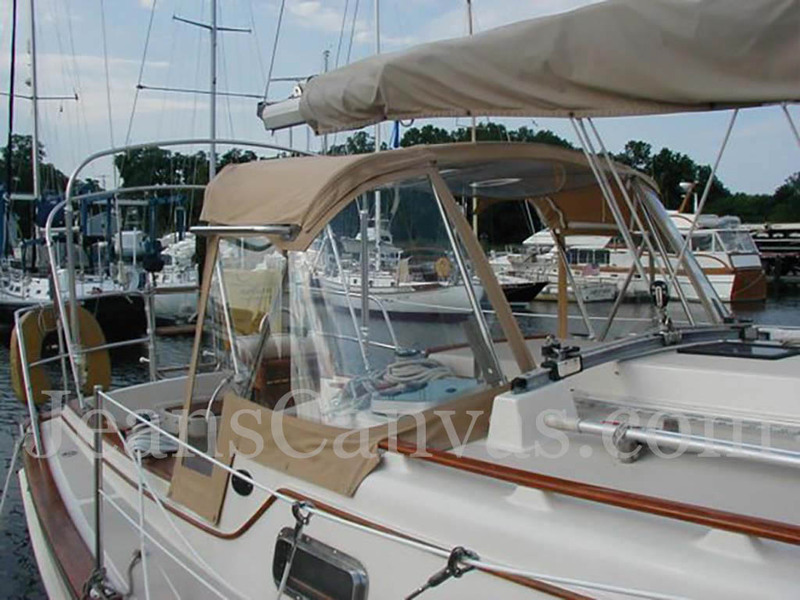 Bimini - Fold up bar with stanchions. 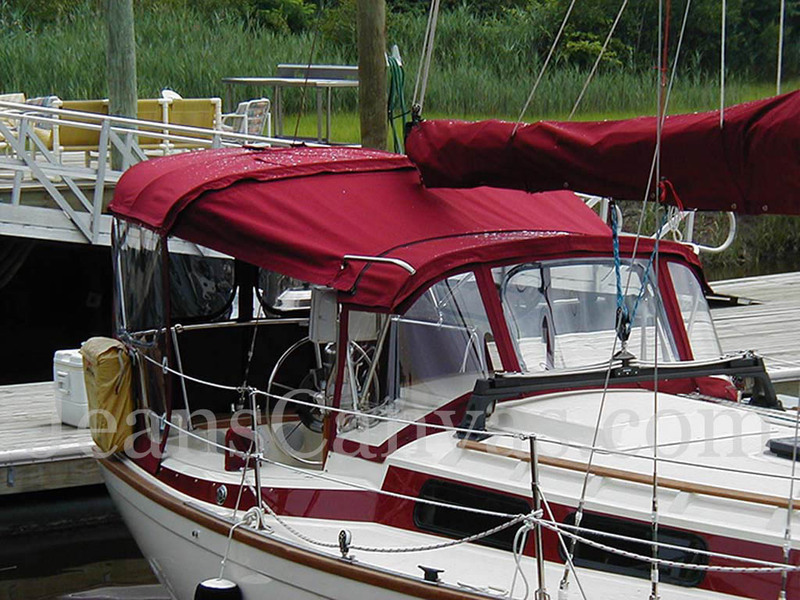 Horizontal bar eliminates the need for forward straps. 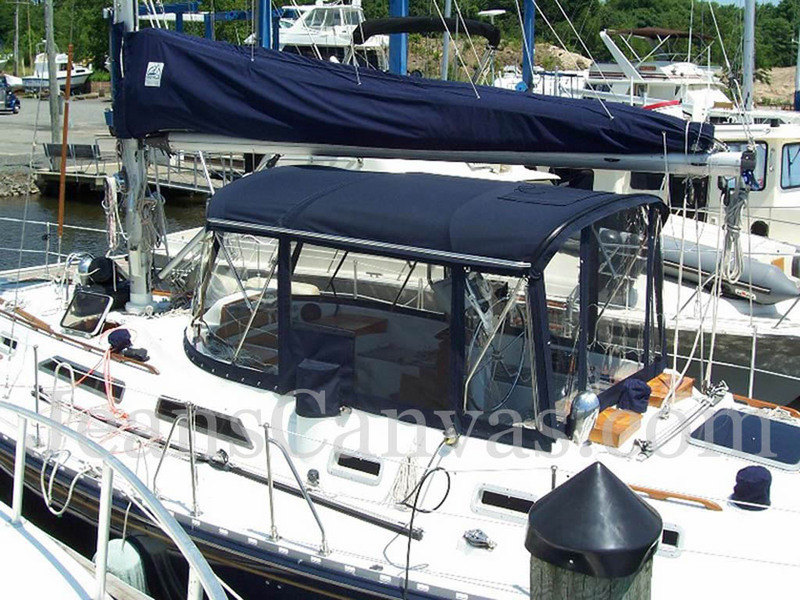 Dodger, connecting piece and bimini top enclosed.